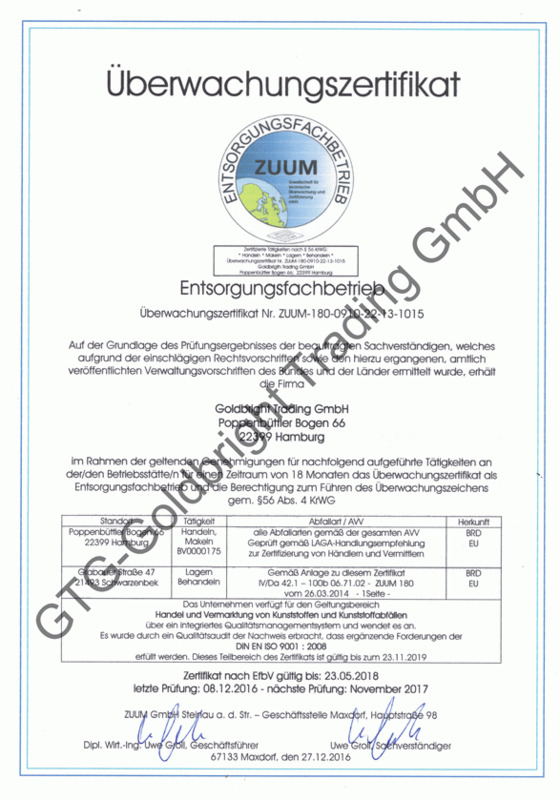 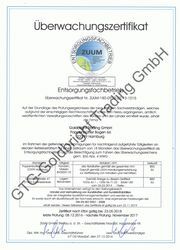 Please contact us if any further information regarding to the certifications. 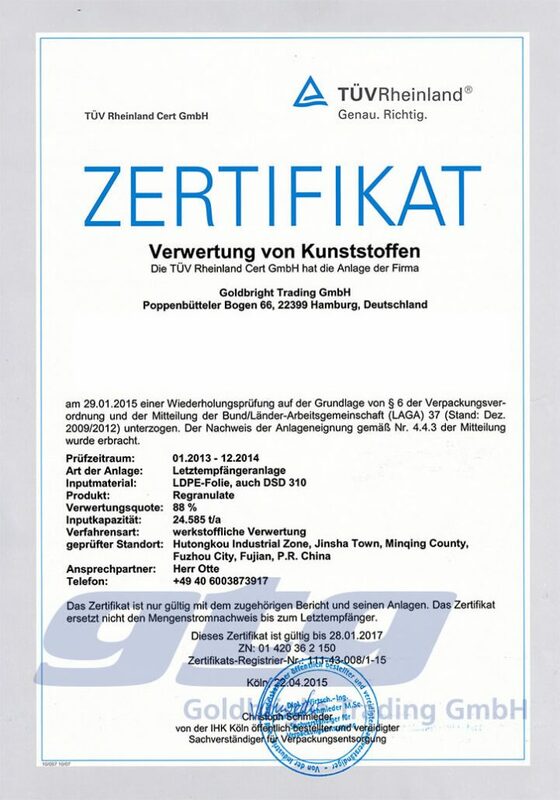 AQSIQ Certificate (the certificate issued by General Administration of Quality Supervision, Inspection and Quarantine of the People’s Republic of China (AQSIQ). 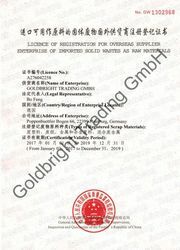 AQSIQ certificate is a mandatory for exporting raw plastic materials to China. 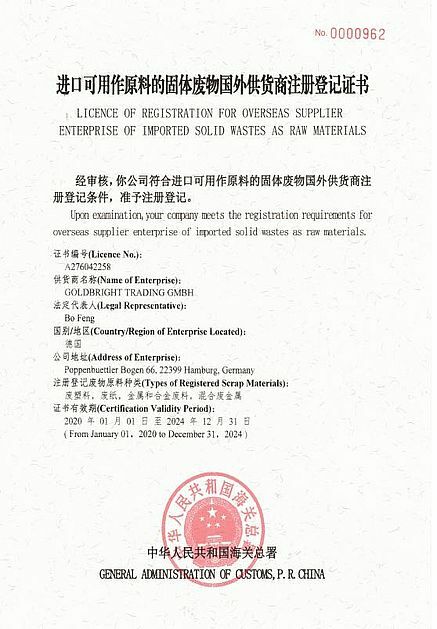 To guarantee standards of international recycling to our suppliers inside and outside the EU we visit our recycling partners frequently. 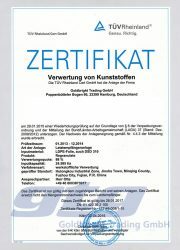 Most frequented delivered factories are carrying TUV certificates to make sure that their recycling process is against with updated environmental protection, energy consumption and crew safety.